Print amazing photos, art reproductions, and other renderings. Unleash your creativity with free, included workflow and management software. New, redesigned printhead: The PF-10 print-head with FINE technology generates fast print speeds and reduces the possibility of clogging. New ink set with Chroma Optimizer: The new LUCIA PRO ink uses micro-encapsulated pigments to produce and incredibly wide color gamut. Also, the new Chroma Optimizer adds an unmatech quality and uniformity to the prints. Multi-function roll system: The optional dual-purpose Multifunction Roll System can be used in two different ways, a two-roll media system during the day, and a bi-directional Take-up at night. Wifi connectivity: Canon PRO Series printers are the first in the imagePROGRAF line to included Wifi. So ditch the cables and start printing amazing things. Color calibration: Producing the correct color ins paramount when printing high-quality, archival work. The built-in color calibration function uses multi-sensors to read color density and automatically calibrate the printer. Print Studio PRO: This software package offers features that streamline your printing workflow. It is compatible with Canon Digital Photo Professional Software, Adobe® Photoshop®, Adobe® Lightroom®, and Adobe® Elements software. 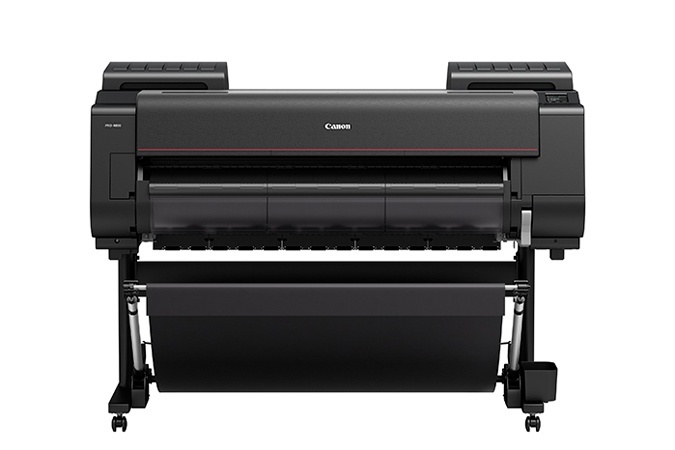 Print Studio PRO offers versatility never before seen with Canon large-format printing. Download our FREE 15-page guide! Learn about all of the new and innovative technologies that give you the power to produce incredible results, every time with a Canon PRO Series Printer. 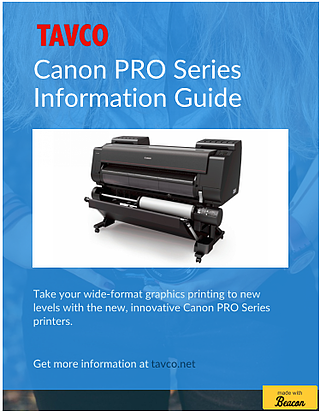 Learn about the enhanced software solutions included with every PRO Series Graphics Printer. Have questions? Please contact one of our wide-format specialists.